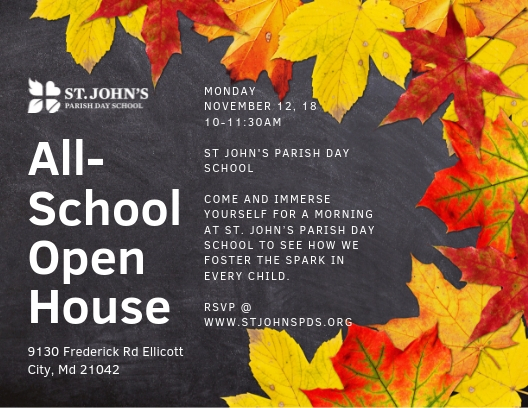 Come and Immerse yourself for a morning at St. John’s Parish Day School to see how we foster the spark in every child. Tour our gorgeous campus, meeting our wonderful teachers and talk to other parents of current students. Join us for breakfast and a tour.